1) On the Calendar page, click the Share button at the top right. 2) Copy URL based on what tasks you want to export. Copy URL for exporting the task dates. 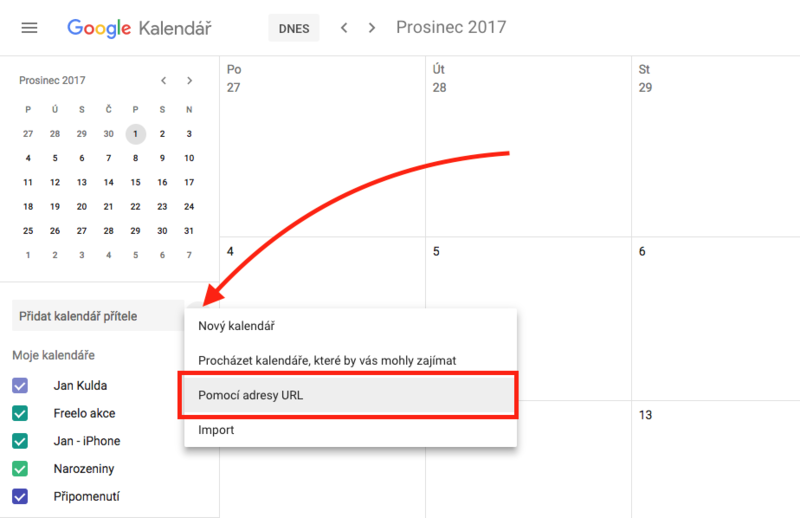 3) On https://calendar.google.com click down on the arrow next to Other Calendars and select Add via URL. Import URL into the Google Calendar. 4) In the window that appears, insert the copied URL from Freelo. Inserting the URL into a Google Calendar. Copy the URL for exporting the task dates. 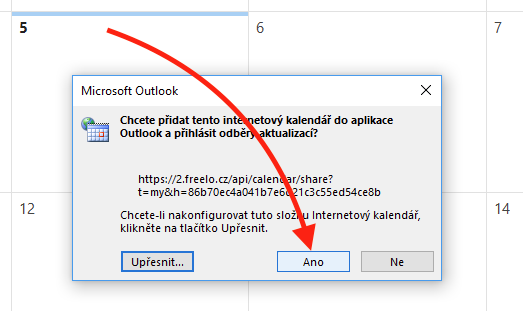 3) In Outlook calendar choose option insert from the internet. 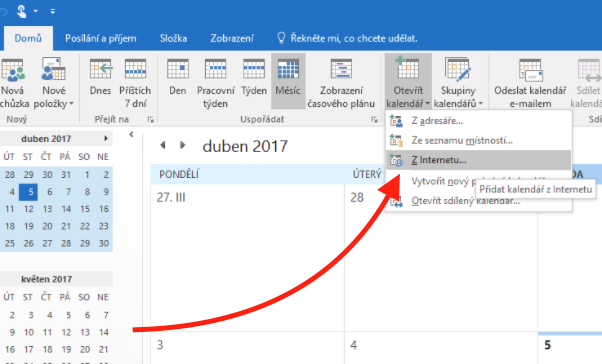 Import dates task into an Outlook. Import URL into an Outlook. 5) Then, confirm your subscription by choosing Yes. Confirming adding a calendar from a URL. 2) In the window, click one of the links below. This activates your primary Calendar application on your system and allows you to import your tasks. Import task dates into a desktop calendar application. 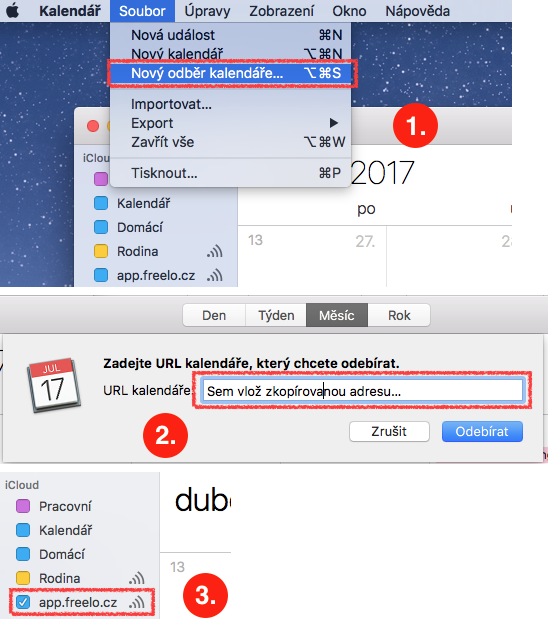 Import task dates into desktop calendar application on Mac OSx.